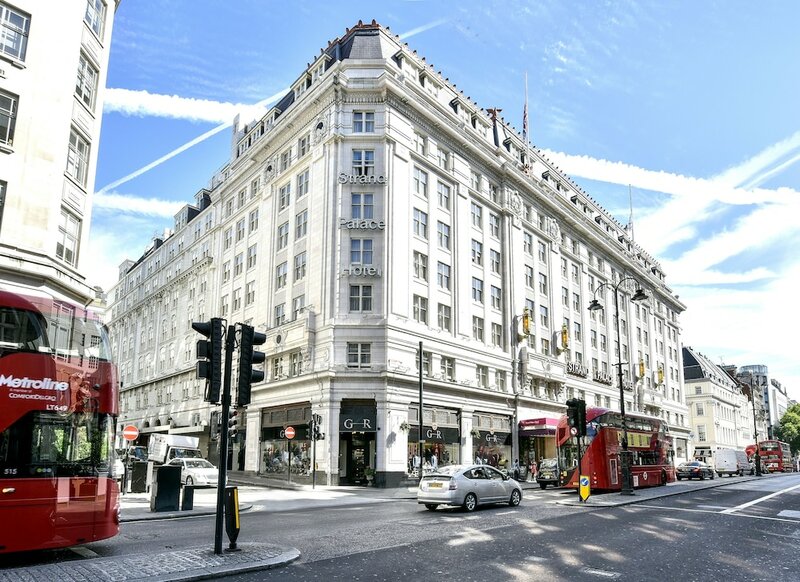 Located in London City Centre, The Strand Palace Hotel is adjacent to Covent Garden Market and within a 15-minute walk of popular sights like Piccadilly Circus. This 4-star hotel has 785 rooms and welcomes guests with 2 restaurants, free in-room WiFi, and a fitness centre. Enjoy dining at one of 2 on-site restaurants including Haxells Restaurant & Bar, which specializes in British cuisine. Savor a meal from the privacy of your room with 24-hour room service, or get a pick-me-up at the coffee shop/café. For your convenience, a full breakfast is served for a fee each morning from 6:30 AM to 10:30 AM. An LCD TV comes with cable channels, and guests can stay connected with free WiFi. The bathroom offers hairdryers and designer toiletries. Other standard amenities include a coffee maker, free newspapers and free bottled water. The Strand Palace Hotel features a fitness centre, free WiFi in public areas, and a 24-hour business centre. Multilingual staff at the 24-hour front desk can assist with dry cleaning/laundry, tours or tickets, and luggage storage. Additional amenities include a computer station, express check-in, and express check-out.